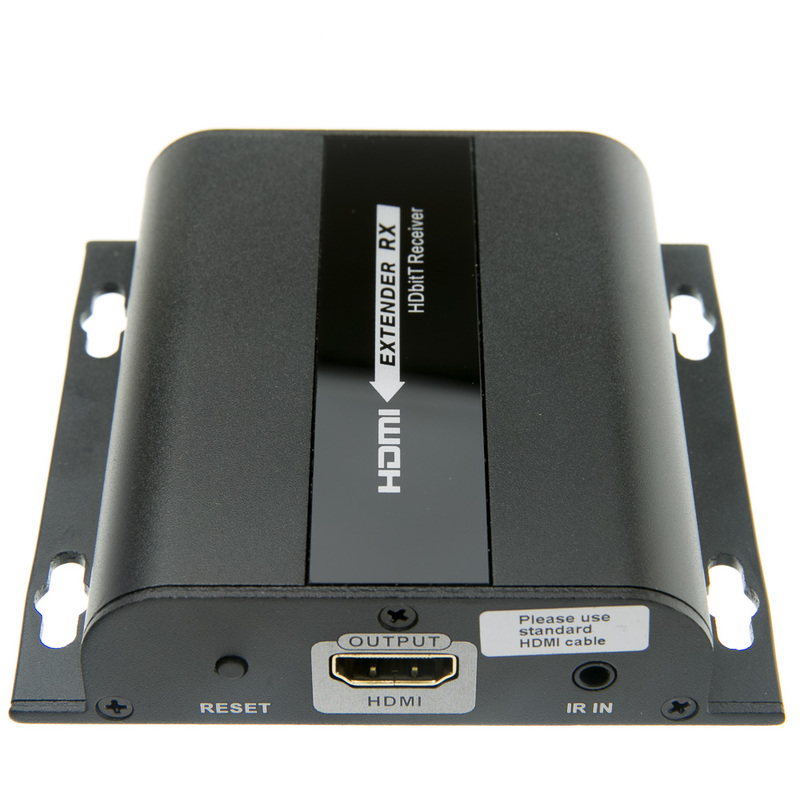 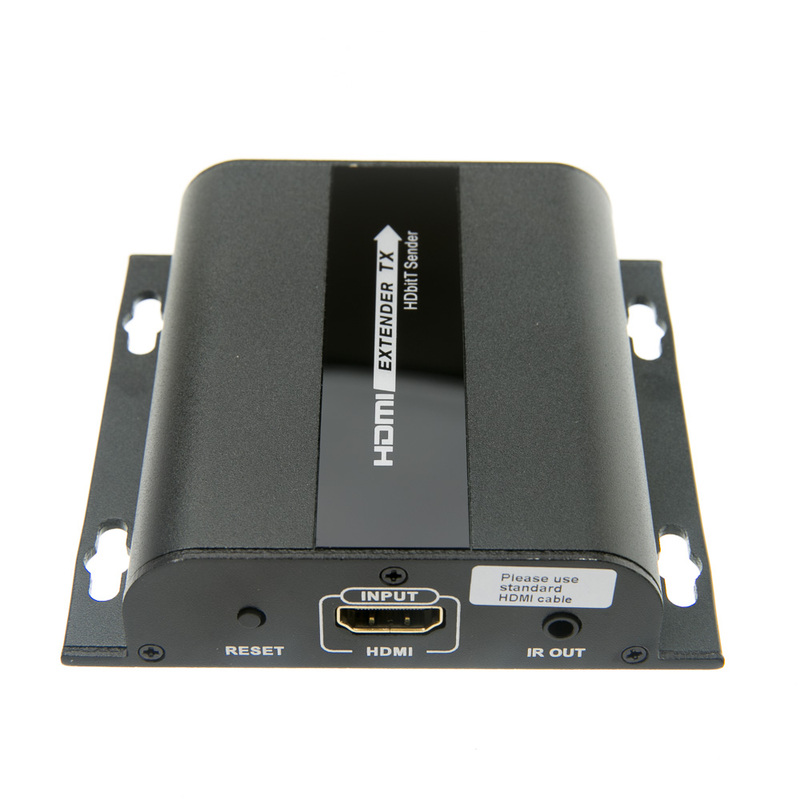 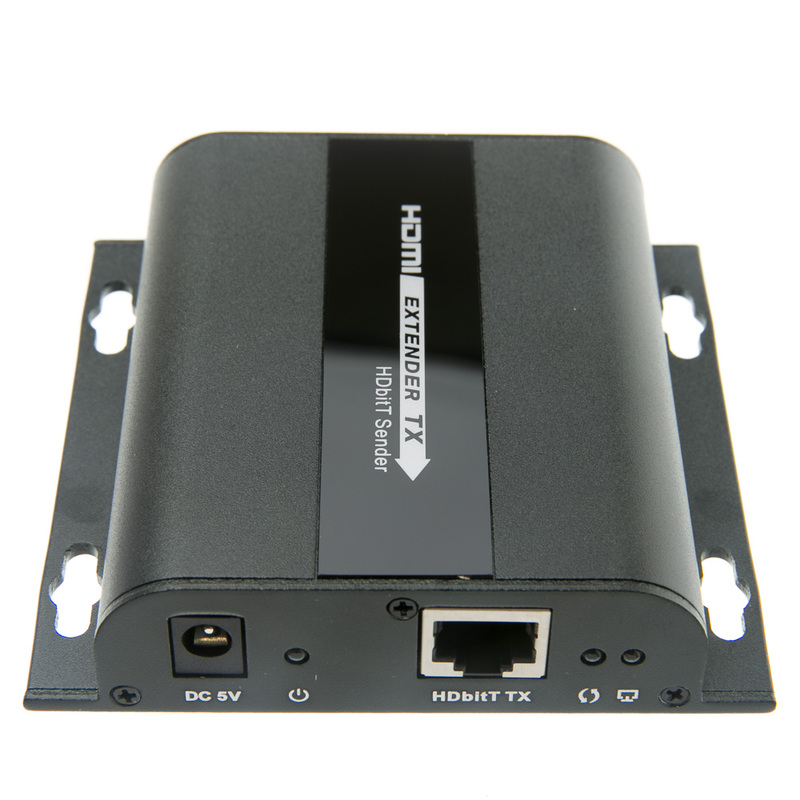 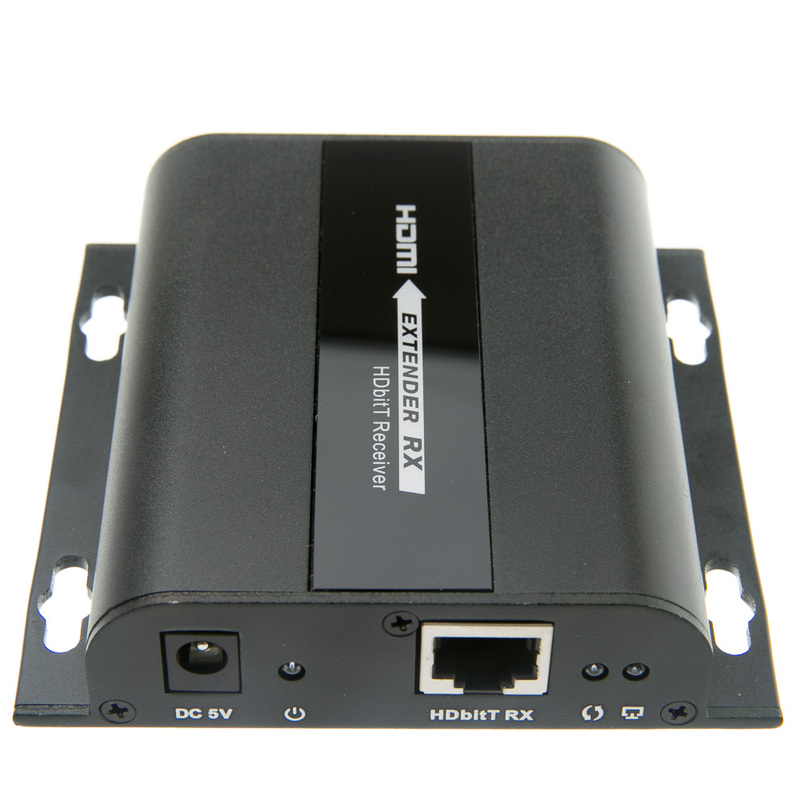 More Product InfoThis HDMI extender supports transmitting full 1080p HD video as far as 120 meters (~390 feet) with no signal loss or degradation, just the crisp sharp picture you are accustomed to. 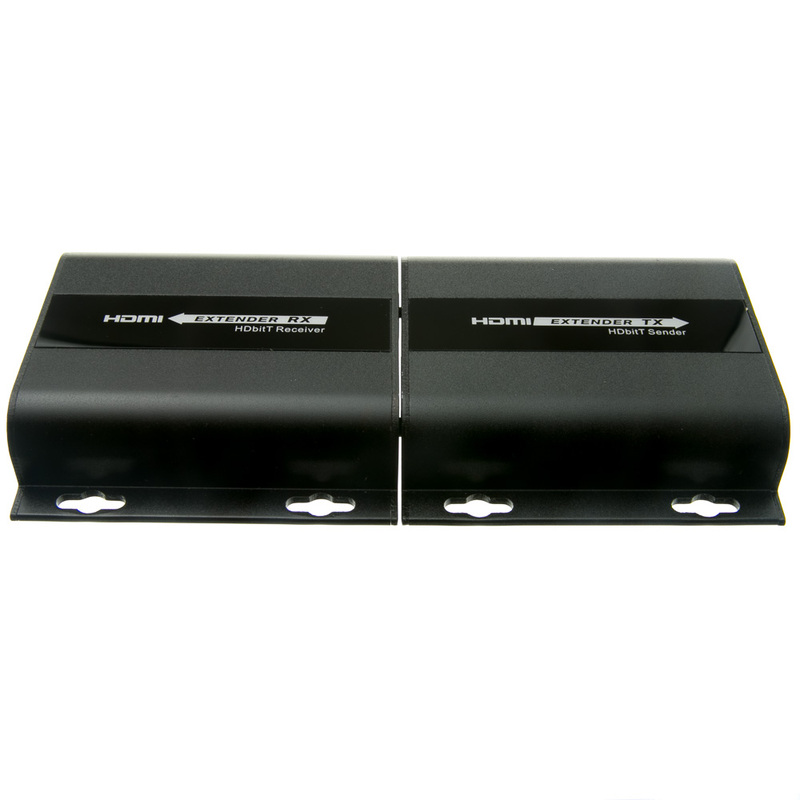 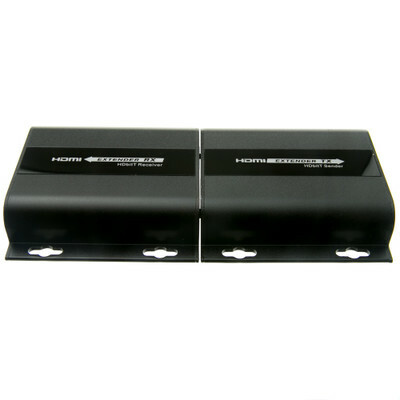 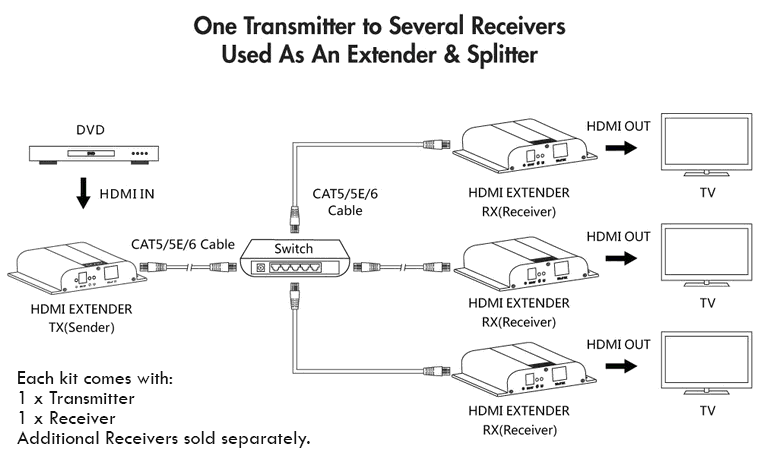 One can use Cat5e or cat6 cables directly between the sending and receiving units or one can use an existing network. 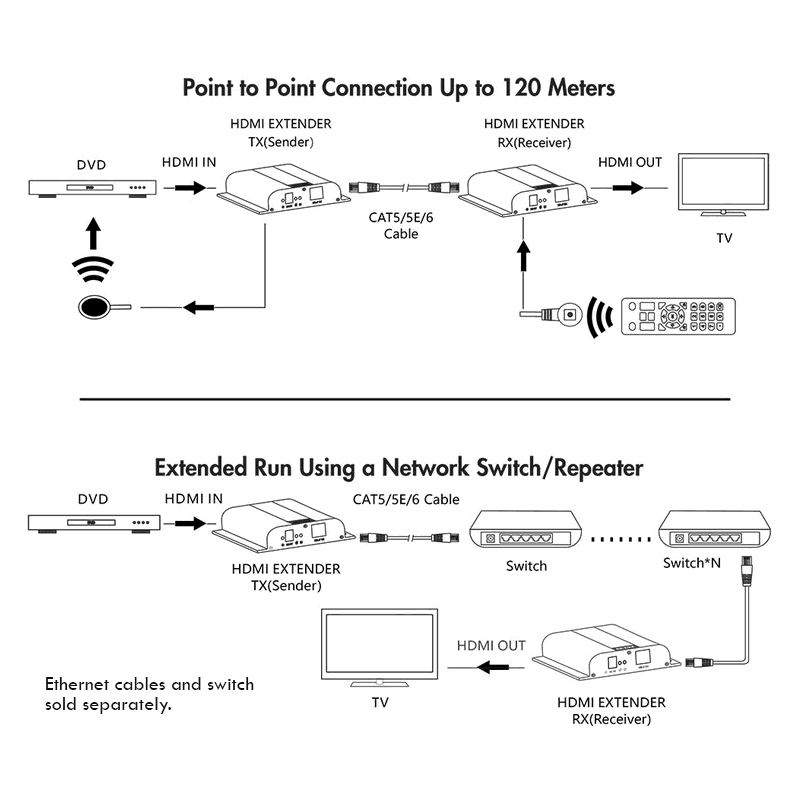 Network deployments allow one to add extra receivers which can allow for extending and splitting at once. 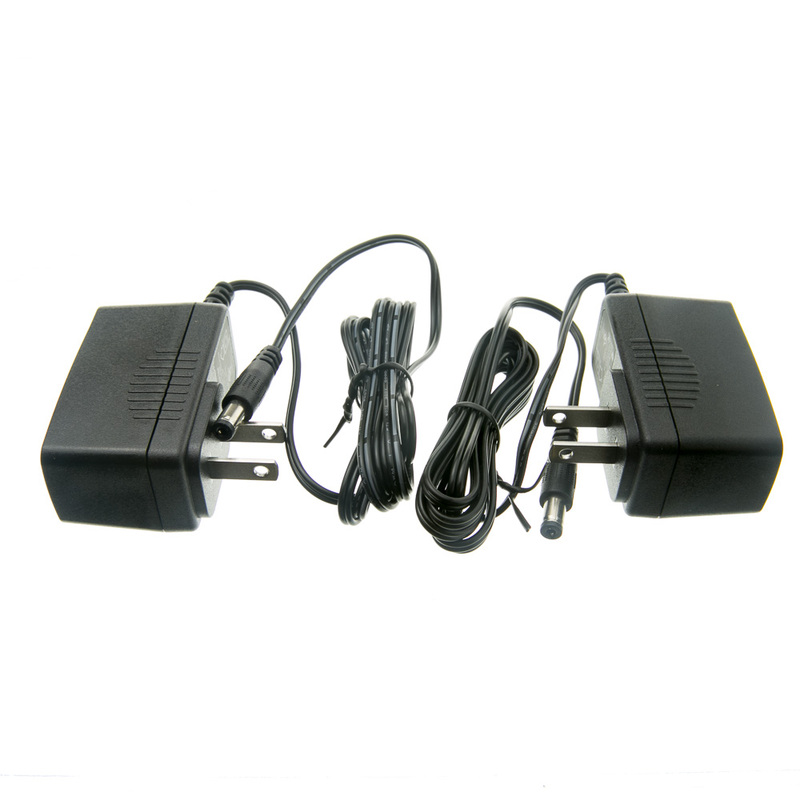 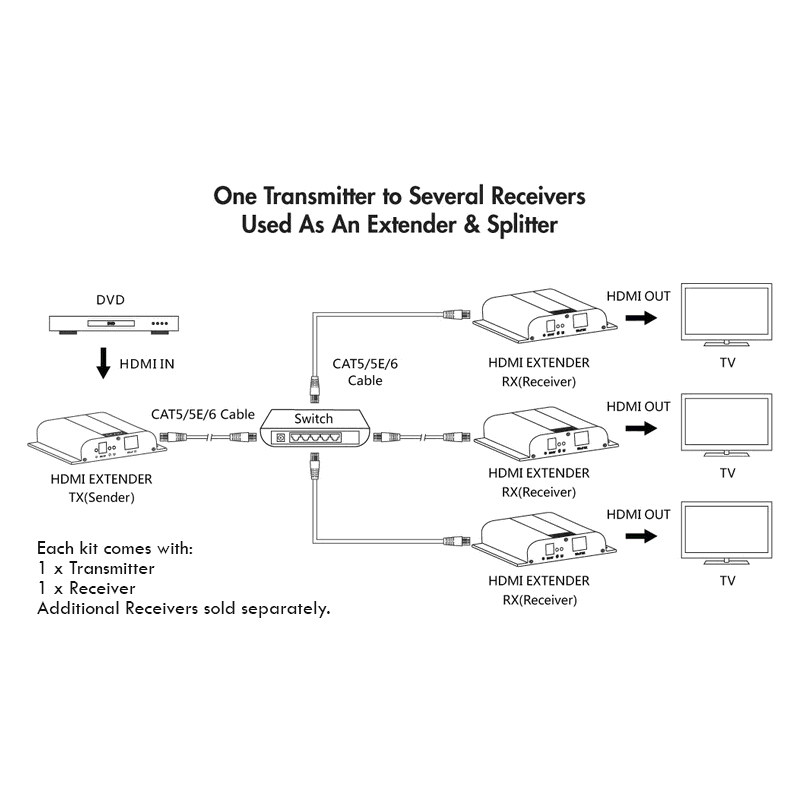 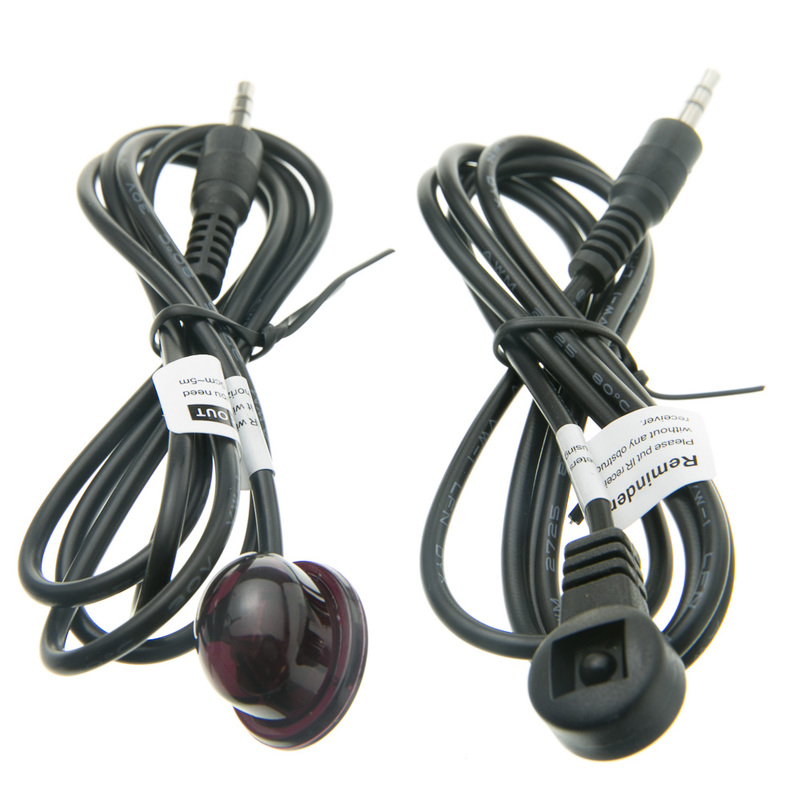 It even includes an IR return for transmitting tv/cable remote signals. 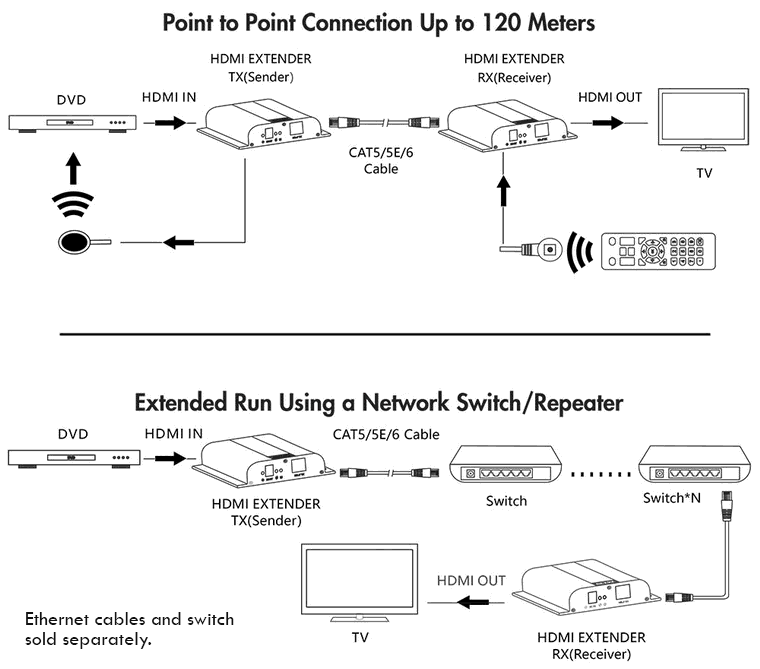 The maximum distance for Cat6 cables is 120 meters (~390 feet) while Cat5e offers a maximum of 100 meters (~328 feet).